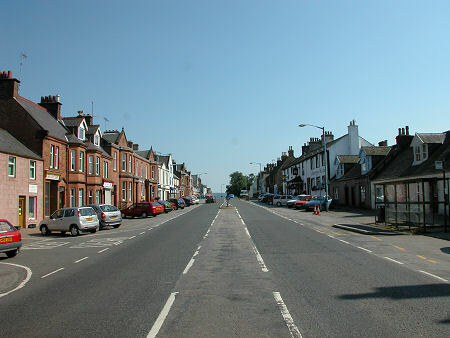 Thornhill lies on the main A76 road from Dumfries to Kilmarnock as it follows Nithsdale north through the Southern Uplands. 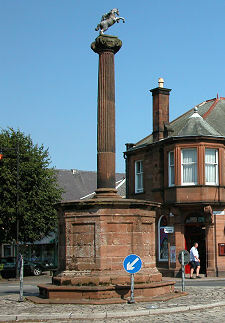 Its broad streets meet at a small roundabout on which you find the focal point of the village, the Mercat Cross. Thornhill as you see it today began with the planned development of its main cross streets from 1714, designed to take advantage of the new road being built from Dumfries to Glasgow. The opening of an inn with glass windows, also in 1714, was enough of a rarity to provoke comment. A church was added to the village in 1741. In the 1700s, travellers wishing to go west from Thornhill still needed to make use of a ferry across the River Nith. But an accident in 1773 led to the drowning of 6 people, and in 1777 the long-lost 1400s bridge was finally replaced, this time in stone. 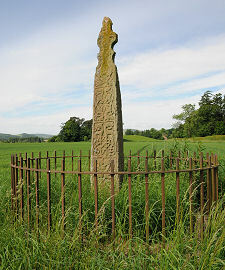 In a field close to the west end of the bridge is a superb stone cross shaft, the Nith Bridge Cross, which seems to have stood here since it was first carved in the late 800s or early 900s. 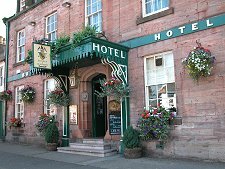 Several coaching inns were built in Thornhill in the early 1800s and a brewery was later added on the banks of the River Nith. By the mid 1800s there were a dozen pubs operating in the village. 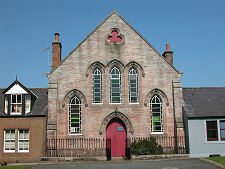 Pumped water was first provided to the village in 1834, and the supply was improved further in the 1860s. 1850 also saw Thornhill begin to benefit from a station on the Glasgow and South Western Railway main line to Carlisle and the south. The railway still runs through Thornhill, but sadly the village lost its station in 1965. Anyone wishing to travel by rail now has to drive south to Dumfries or north to Sanquhar. Today's Thornhill is a bustling and attractive village. The cruxiform pattern of broad streets provide excellent views through the village and bring an unusual feeling of spaciousness. 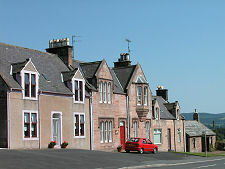 The width of the streets also help lessen the impact of the parked cars that dominate so many rural centres these days. Some of the coaching inns of the 1800s remain in business. 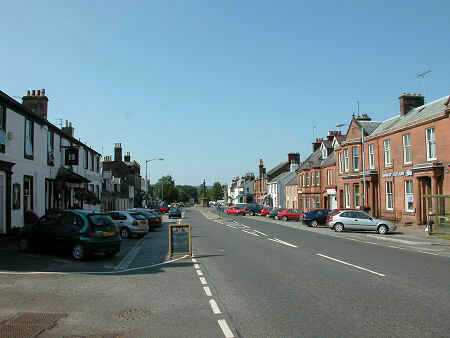 The George Hotel and the Buccleuch & Queensberry Hotel both occupy prime locations close to the centre of the village. 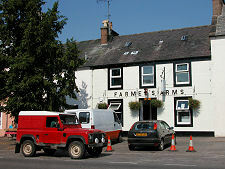 There are fewer survivors from the dozen pubs on offer in the village in the 1800s, though the Farmers Arms remains very much in business. 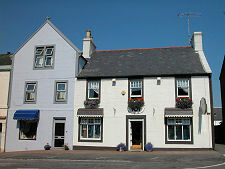 A mile to the south of Thornhill is the excellent Trigony House Hotel. Three miles north of Thornhill is the magnificent Drumlanrig Castle. A Douglas stronghold existed on the site it occupies in the 1400s, but today's castle was built by the 1st Duke of Queensberry in the years between 1675 and 1697. The castle is surrounded by a 90,000 acre estate and remains a family home of the Duke of Buccleuch and Queensberry. Drumlanrig Castle offers one of the best visitor experiences you are likely to find anywhere, and it is surrounded by superb formal and informal gardens that are well worth visiting in their own right.